Prior to 2013, Barri practiced for twelve years as a founding partner in the firm Brock, Payne & Meece, P.A.. She opened her solo law and mediation practice that year. Barri is a North Carolina Board Certified Specialist in Family Law and is certified as a Family Financial Mediator by the North Carolina Dispute Resolution Commission, a branch of the North Carolina Court System. 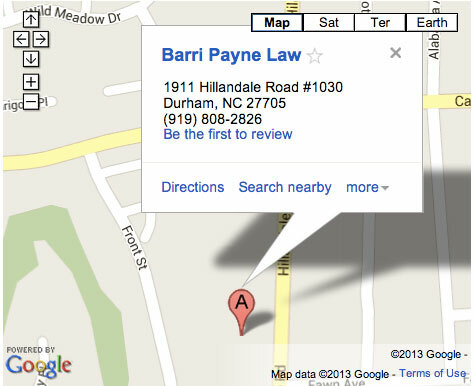 Barri’s new offices near Duke Hospital and Duke University campus, are especially convenient to the doctors, nurses, academicians, and grad students she serves in her family law practice.